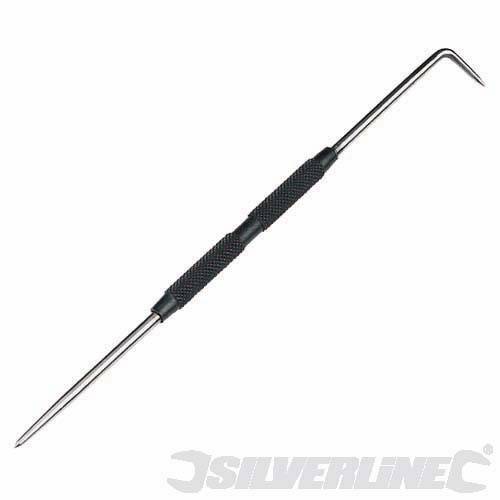 This is a very useful engineer’s scriber from Silverline Tools. The scriber is double ended with hardened steel and ground points for prolonged use. Complete with a knurled and blacked grip for extra comfort and making for easier precision marking. A good quality product from Silverline Tools.